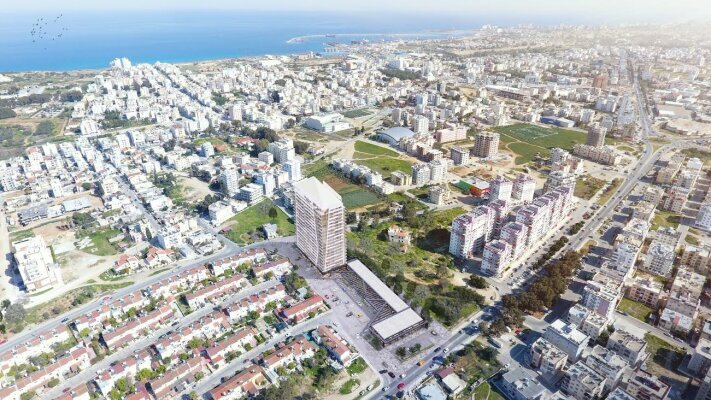 A new house in the heart of Famagusta. A modern twenty-storey building equipped with all the latest technological innovations. The improved infrastructure of the area with shops, cafes, restaurants, supermarkets and many other objects. The residential complex consists of 20 floors, with all amenities for the whole family. On the ground floor there is a reception desk, gym and indoor swimming pool, which is open all year with spa, Turkish bath, sauna and a playground for children.